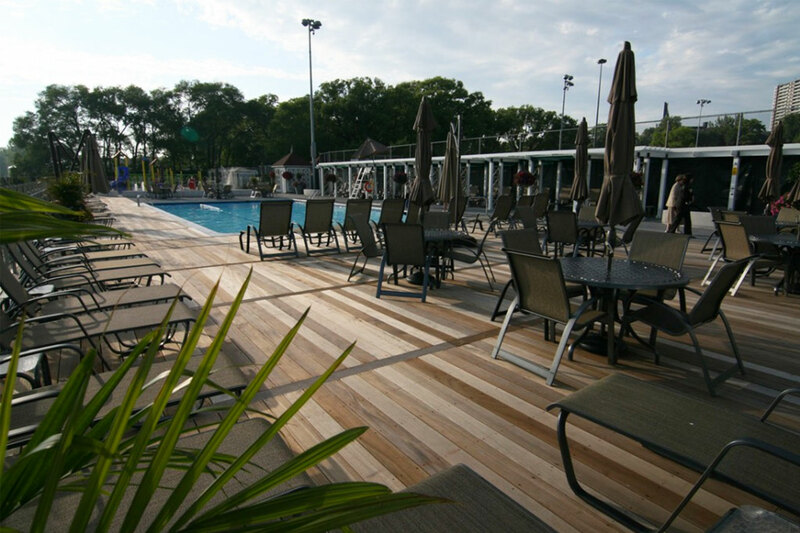 Offering their members a wide variety of activities and services, the Boulevard Club is one of Toronto’s finest wellness clubs. 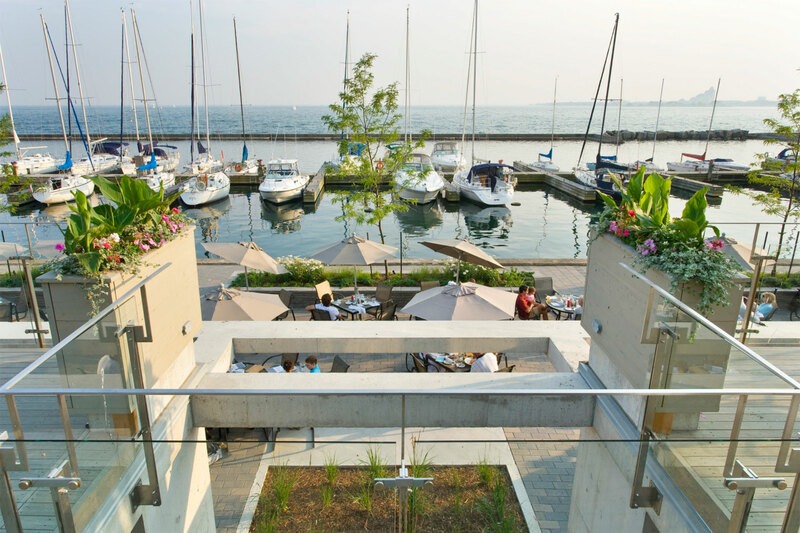 Shored up on the city’s beautiful waterfront, the club provides members with a beautiful view of the Canadian sunset while dining in their top facilities. When patrons aren’t taking advantage of the club’s amenities, they can be found lounging by the outdoor pool, soaking up the sun and relaxing in the shade. 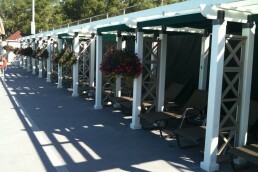 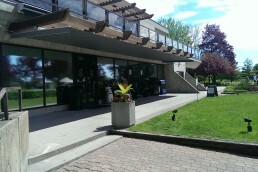 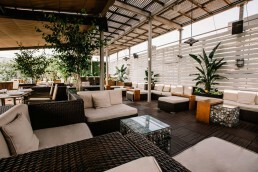 To provide the utmost comfort for their guests, the Boulevard Club looked no further than ShadeFX retractable canopies. 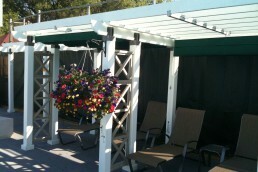 Utilizing an existing poolside white pergola with ‘couple’ dividers, eleven ShadeFX rope operated canopies were installed. To ensure guests had enough standing room, our mono-track drive beam was recessed into the pergola rafters, providing maximum clearance. 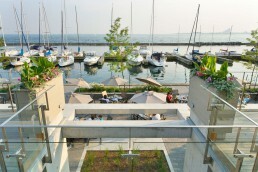 The introduction of retractable canopies at the Boulevard provides members with the luxury of individualized sun and shade control and the most lavish poolside seating anywhere on the Toronto waterfront. 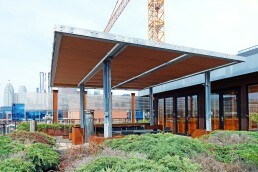 To provide the utmost comfort for their guests, the Boulevard Club looked no further than ShadeFX retractable canopies. 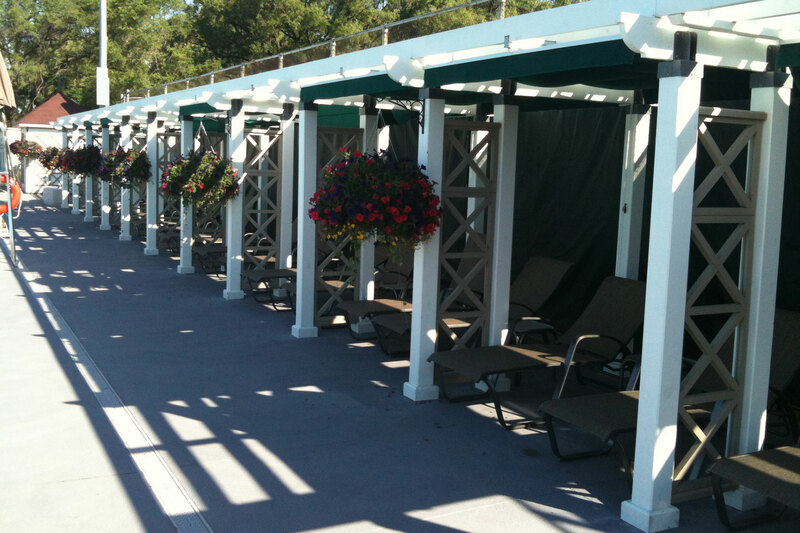 Utilizing an existing poolside white pergola with dividers, eleven ShadeFX rope operated canopies were installed . 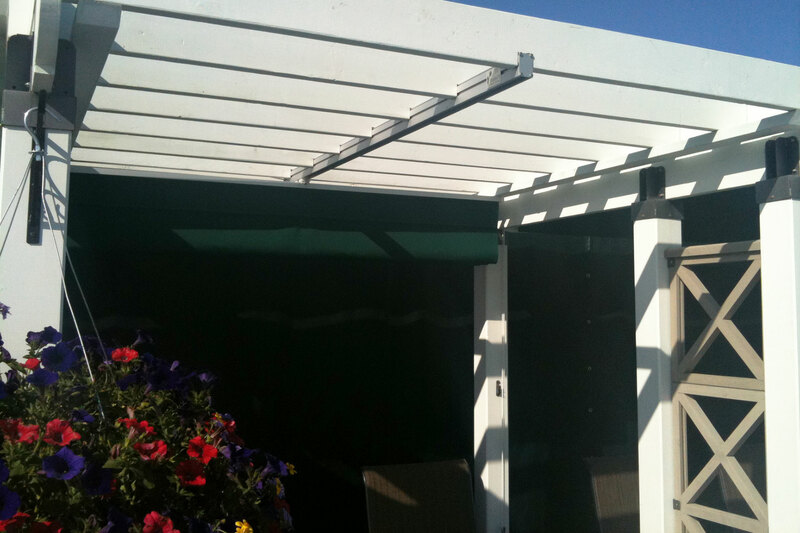 To ensure guests had enough standing room, our mono-track drive beam was recessed into the pergola rafters, providing maximum clearance.